First of all, I want to give Detroit’s city lawyer Corporate Counsel Krystal Crittendon a round of applause. When it was time to look out for Detroit’s best interest, she stepped up and filed a lawsuit on its behalf. The city charter clearly states that Detroit cannot enter into a contract with its debtors. That contract being the current Consent Agreement with the state. In December of last year, Bing and the City Council told everyone the state owed the city of Detroit $284.6 million on live TV. It is that $284.6 million that is the source of contention in Crittendon’s lawsuit. Under the city charter, Detroit cannot enter into a Consent Agreement with the state because they owe the city of Detroit a large chunk of money! However, Mayor Bing has now changed his tune. Detroit will not pursue the money he (Bing) once said the state owes the city. We need to borrow $80 million from the state or we go broke, the state is going to take over Belle Isle, and the state fair has gone to Novi. Oh, and because Krystal Crittendon filed a lawsuit to stop this process, Mayor Bing is looking to remove her from office because she would not resign. What is his reason? Krystal Crittendon’s legal challenge adversely affected Detroit’s bond rating and ability to finance its ongoing operations, which could cost millions of dollars. In short; What Governor Snyder wants, he gets! That is the major reason why Detroit can’t get over the hump. Those who were elected to fight for it continue to sell it out and those who do the right thing are made the villains. The people no longer trust their leadership and I don’t blame them. Crittendon’s challenge to the Consent Agreement was the right thing to do for the people. If Detroit is to have a Consent Agreement, it is only right that it does not go against the city charter. It is appalling that she must now lose her job. Without Crittendon’s challenge, Snyder and Bing are free to go after Detroit’s union contracts. That is really what this is all about. More pay cuts and job losses for Police, Firemen, and city workers. That in itself is a damn shame! Holla if you hear me! Posted on June 23, 2012 by KELLY GREENE	• This entry was posted in Uncategorized and tagged city of detroit, Consent Agreement, Governor Rick Snyder, Krystal Crittendon, Mayor Dave Bing. Bookmark the permalink. WIW!!! thats all i cabtn say right now without getting indignate!!! diry dealings!! Thank You for reading!! Dirty is a very accurate word!! Thank You!!! I agree Victoria! The people of Detroit have a lot of questions regarding these moves. Bravo !!!!!! I totally agree ! Thank You and Thanks for reading!!! Not only do I hear you, I’ve been screaming the same thing myself. And so many Detroiters are listening to the appointed “over seeer” Dave Bing! It’s clear to me he is a puppet and someone who doesn’t look like you or me is clearly pulling his strings and assisting him in selling off our cities most prized assets one at a time! Did u know he gave his wife two contracts? 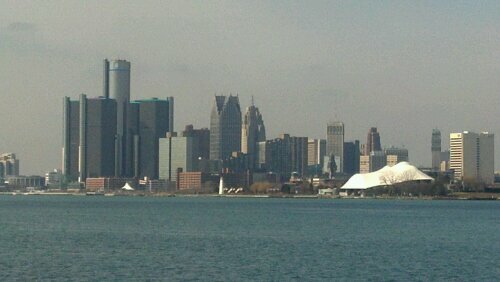 One to clean Belle Isle and the other to clean the City County Building? No bids or options for anyone else to get those jobs. Sounds like a conflict of interest to me. How bout you? You know they have Federal Probes for those types of back door dealings! It was a joy to meet you today! It was a joy to meet you as well!! Detroit is being exploited. No doubt about it. My fear is that it’s too late to do anything about it.